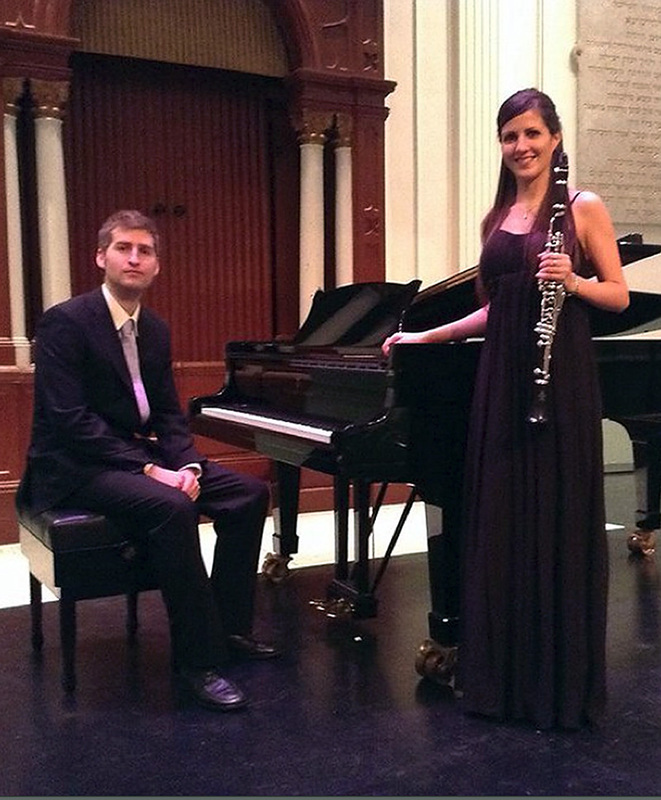 Duo Hiberi consists of Carlos Baños (piano) and Alicia Pallares Tello (clarinet), both of Spanish origin. Duo Hiberi was founded in 2012 and has followed the chamber music program at Codarts, Rotterdam. Among others, they received masterclasses by Henk Guitart, Sander Sittig, Nancy Braithwaite, Bram van Sambeek and Jose Luis Estellés. They have performed in concert halls in the Netherlands and Spain. In 2014 they won the ensemble price at the Storioni Festival. This evening they will perform music by Debussy, Brahms, Poulenc, Von Weber and Horovitz.